Tranter and Ethanol... a CONSTANT Combination! installed in over HALF of all plants in the USA! Tranter is the expert that you can rely on for innovative heat transfer solutions for your ethanol production needs. 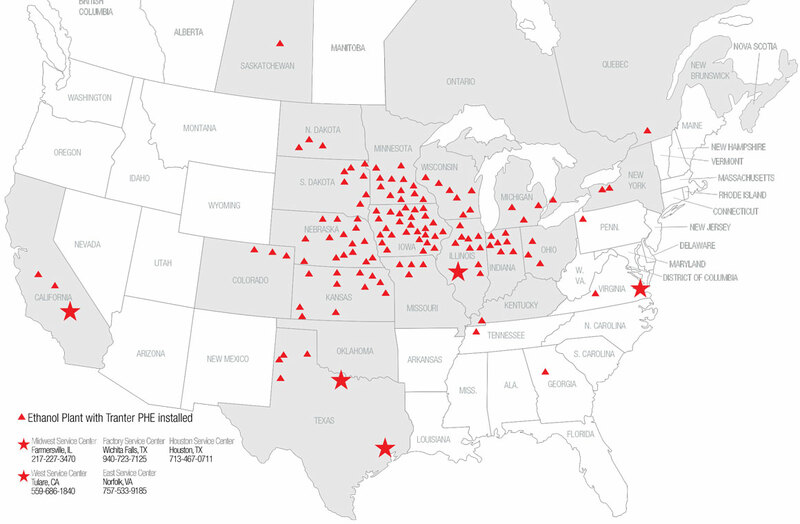 We have a well-proven track record in delivering expert level solutions for over half of the ethanol facilities in the United States. In addition, Tranter's R&D Team continuously works to deliver new products to meet the needs of the industry; as well as improvements/enhancements to the current product designs. Dirt, deposits, scale and other foulants rob your PHEs of their efficiency. Continuing to operate them risks damage to your plates—damage that could lead to leaks, faulty operation and reduced exchanger service life. Faulty PHEs in turn pose damage risks to upstream and downstream equipment with expensive, unscheduled downtime for repairs. Whether at your plant or in one of our service centers, Tranter expertise will keep your PHEs running at peak efficiency. Our staff offers comprehensive OEM diagnostic and repair services on Tranter units, plus OEM-class parts and service standards for work on other brands of plate & frame units. 1. If gaskets are failing drastically, we verify your current operation before replacing them. 2. Instead of conventional two-part epoxy adhesive that cracks, causing leakage, Tranter Service Centers use a softer Pliobond® adhesive, skillfully and evenly applied. 3. If plate damage was caused by over-tightening, we assist you with procedures to prevent this from recurring. 4. 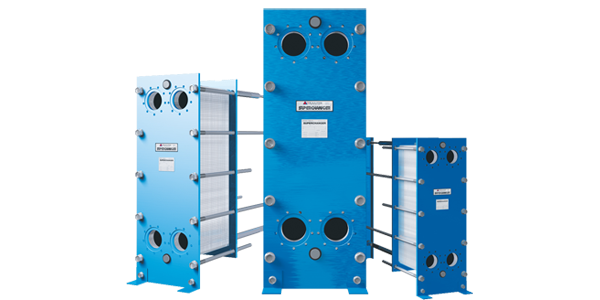 For Tranter SUPERCHANGERs, we compare your heat exchanger serial number with our model database to verify its original design conditions. Any deviation alerts us to ask for clarification. With Tranter and its service facilities, you can be sure you always get the right gaskets, the right plates, the friendliest service and our OEM Guarantee (a one-year warranty on new parts and a guarantee on workmanship and labor for on-site service). quote that will meet and exceed your needs. ©2017 Tranter, Inc. Tranter® and the Tranter logo are registered trademarks of Tranter.